The Chef’s Farmer’s Old North Shrub won first place in the Food & Drink category of Our State’s 2017 Made in NC Awards. A non-alcoholic beverage served in a brewery sounds more like an oxymoron than the catalyst for a new business venture, but for The Chef’s Farmer, it was a winning combination. 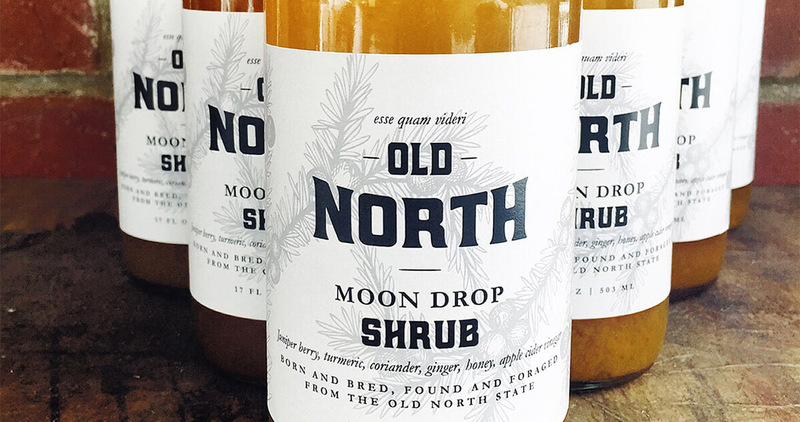 The opportunity led to the creation of Old North Shrub, a drinking vinegar flavored with fresh fruits and herbs that have been grown, sourced, or foraged from local farmers in the Piedmont area, with no added processed sugars. The Chef’s Farmer rotates between two to three flavors of shrub on a seasonal basis. The Made in NC Awards-winning flavor, Two in the Bush, uses strawberries, chamomile, and lemon verbena to create a beverage with ingredients that work harmoniously but also pack a punch. Not quite sure what shrub is? The Chef’s Farmer owner, Jamie Swofford, is used to that question. Read his response in Our State’s interview below, and find out why shrubs are making a big impact on the culinary world today. OS: What is your background in the culinary world? Swofford: I’m a recovered chef; I spent 18 years in professional kitchens. I grew up on a farm in Cleveland County, so I’m a North Carolina boy through and through. But growing up on a farm, you find out that it’s nonstop and there’s always something to do. As a young teenager trying to find a way in the world, I wanted nothing to do with that, so I took the first train leaving. I found myself in kitchens, and started out washing dishes. 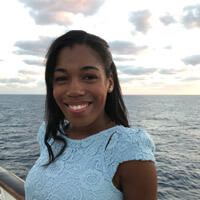 I ended up knowing more about food than I thought I did, just from being around it, being in the kitchen with my grandmothers and growing up on the farm. So I spent about 18 years traveling and cooking a lot in the Southeast, and I did some training abroad and in Mexico, and found my way back to the farm. It was a struggle in my mind; I felt it was getting to the point that I felt like there was more to be done, like I could do more, I could affect more people than just being in one kitchen. So, with the help of some chef friends and support from my family, I was able to move back to the family farm and start growing on a small scale for chefs that I had relationships with already. Where we’re at right now, this is my sixth season growing and I work with about 25 chefs and restaurants in the Piedmont foothills of North Carolina, mostly in the Charlotte area. OS: What influenced The Chef’s Farmer to enter the beverage business? Swofford: My friends were opening Free Range Brewing and they tasked me with coming up with a beverage that could be served on draft that wasn’t kombucha but was not alcoholic. I don’t drink alcohol, so being in a brewery as an adult, you would like to have a beverage as well — not some big plastic tumbler of ice water just to fit in — so we made a shrub. It has been two years ago this month since we made the first batch, which was a muscadine flavor. It took two batches to tweak it to get the conversion right. I hadn’t even come up with the name Old North Shrub yet, but people really loved it and the feedback that I got was outstanding. People wanted it in a bottle so they could take it home. So I started looking into what it would entail, then getting that done, all the while I’m managing an acre and a half farm and dealing with chefs. It started as a side project, but more and more over the past two years it’s taking center stage. OS: For those unfamiliar with shrubs, what exactly are they and how should they be consumed? Swofford: I get this a lot. To me, shrub is fruit, vinegar, and sugar in a basic form. I call it drinking vinegar; it’s a sweet and tart botanical beverage. Bartenders use it as an ingredient to make cocktails with, behind the bars and top restaurants all around, and folks are doing this at home, too. I also focus on nonalcoholic beverages, so you can mix shrub with your favorite sparkling beverage or soda water. I feel like it makes kids feel like adults, and adults feel like a kid. Some folks drink it like they would be drinking apple cider vinegar for their health every day — they just do like a little two-ounce shot. OS: Are there any health benefits associated with drinking shrubs? Swofford: I can claim that it tastes good, but I don’t make any health claims; I try to make it health conscious. We have a soda epidemic where I am. A two-liter soda is cheaper than a 16-ounce bottle of water, so I see kids every day drinking more soda than any human being should. With that in mind, I’m trying to provide an alternative to soda that’s not water. I can remember being a kid and I didn’t want to drink water, I wanted something else. OS: How did the public respond when you started bottling and selling Old North Shrub, since you hear a lot of conversation about alcoholic beverages versus nonalcoholic beverages? Swofford: I’ve gone to a few beer festivals, and I’ve done events in stores where I wanted to reach out and get people’s feedback and let people taste it, let people see what it is. As soon as you say the word “vinegar” it goes one of two ways: people either think, “Oh wow, vinegar’s good for you,” or people turn up their nose like, “Oh, no, thanks.” But once they taste it, they’re hooked! It’s delicious — you don’t taste the vinegar. I use the vinegar to pull down the pH just as citric acid would be used in another form of beverage. It’s not heavy on the vinegar; I keep the pH below 3.8 to get a balanced flavor. OS: To go from upscale kitchens in Charlotte back to your family farm must have been a big transition. Was getting dirt under your fingernails again a hard adjustment? Swofford: It was, yes. But there’s something about getting your hands in the dirt and working with the soil that it is very calming for me. I think for most people it really make you feel at one with the earth, and there’s just something very real about that. To be able to see the growth and the change on a daily basis is amazing. I’ve never been happier about where I’m at today.